One of the commonest question patients ask me is whether they should choose a Day 3 transfer or a Day 5 ( blastocyst ) transfer . Blastocyst transfer was first introduced with a lot of hope and hype. As our IVF technology improved and the IVF culture medium got better, it became possible to grow embryos in the lab upto Day 5 ( instead of the earlier Day 3) , and it was felt that transferring embryos on Day 5 will help to improve pregnancy rates because this would mimic nature more closely. After all, Day 3 embryos belong in the fallopian tube and not the uterus ( unlike blastocysts, which is the stage the embryo reaches when it arrives in the uterus and is ready to implant). The initial reports were very enthusiastic, but as time has gone by, we realise that the pregnancy rate with blast transfers is as good as with Day 3 transfers, but no better. After all, if an embryo is going to become a baby, it will, whether we transfer on Day 2 or 3 or 5 ! Growing the embryo to Day 5 in the lab does not improve the chances of an embryo becoming a baby ! It is true that Day 5 transfers do have some benefits. They help because when we grow to Day 5, we allow the Day 3 embryos to compete amongst themselves , so we can select the best embryo for transfer. The limitation is that we judge the "best" embryo only by its morphology ( how it looks ) , and many great looking blastocysts will be genetically abnormal and will not implant. 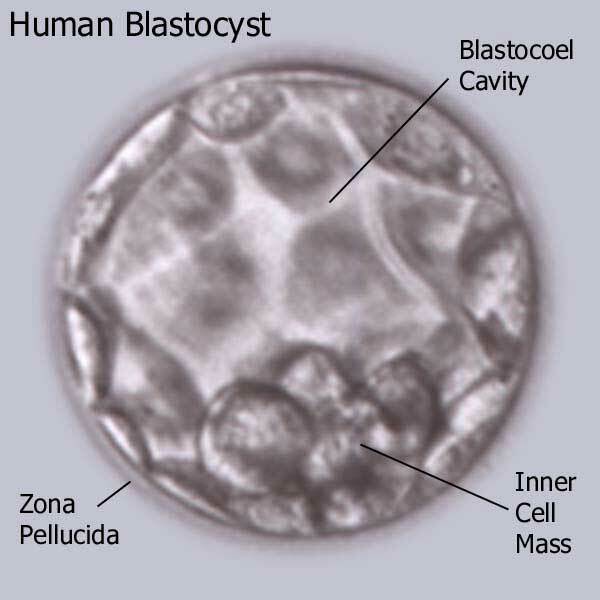 We simply cannot judge which embryo will become a baby just by looking at it because even genetically abnormal embryos can develop to form beautiful blastocysts. If an embryo is genetically abnormal on Day 3, it will remain abnormal, even on Day 5 ! The truth is that the decision to grow to Day 5 does involve a trade off, as with all things in life. For example, some embryos may arrest in vitro on Day 4 and never reach the blastocyst stage so that there is no embryo transfer at all. Also, because not all the embryos will develop well , we may not have any supernumerary embryos to freeze. The best option is to select a clinic which offers all options, and then discuss with the clinic which option they prefer in your case. This should be a personalised decision, which weighs many factors, including: the number of your embryos; their quality; the clinic's experience; and your past IVF treatment results. For a young woman doing her first cycle, with lots of great Day 3 embryos , I recommend a blast transfer; and freeze the spare embryos. On the other hand, for an older woman with few eggs and few embryos I recommend a Day 3 transfer. We are very flexible in our approach; and we personalise this to maximise chances of success !